PDF submission sites are a good link building techniques. These PDF submissions websites are normally free and all you have to do is just create a PDF file of your post and share on these PDF sharing websites. In terms of SEO, you can create a link from these PDF sharing websites back to your website and majority of these document sharing sites provide DoFollow links. There are multiple benefits of sharing the PDF files on the PDF sharing websites. Let me share here some advantages. • If your document will be good, another person can share also and by this way with some good and quality traffic, you will also get some good subscribers. • The majority of the links will be DoFollow. Few document sharing websites also providing NoFollow links and there are again multiple benefits of NoFollow backlinks. • As the referral traffic will be of high quality and so there is a great chance to convert that visitor to the subscriber. As there are multiple benefits of sharing the documents and so everyone starts bookmarking their documents. But you should not simply upload the PDF or word files on these PDF submission websites. You must do something extra which will provide you the maximum one can get from these document sharing sites. Here is some best practice you should do before sharing your documents and PDFs before sharing it on the below listed PDF sharing websites. • Make sure to add graphics in the document. All the platforms are responsive and support mobile views smoothly and so you can use. • Do proper formatting so that user won’t get frustrated. • Use your website links and social media site details so that user may connect with you. • The document should be grammatically correct and easily readable. 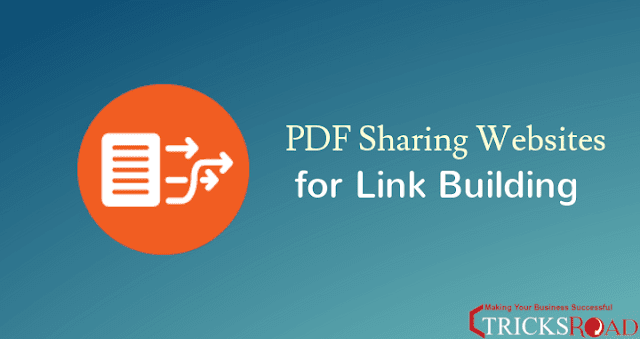 Once all these done, you are good to share the document on any of the below 30+ PDF sharing websites for link building. It is my personal experience that if you will keep you posted updated, the search engine will think that the content is being refreshed and will keep you ranking. 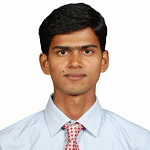 You can check how to maintain a top ranking in search engine for more details. The submission on PDF sharing website will help you to get some increase in your search ranking. Especially if you are stuck on page 2 or 3 in Google, you must try submitting documents on theses PDF sharing websites for ranking boost.